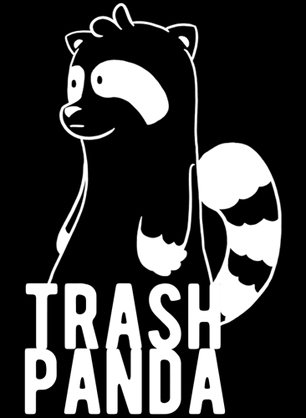 That’s the official slogan of Trash Panda. They’re a new clothing company started by a pair of fans from Southern California. They state their philosophy like this: “Whether it’s rolling that critical hit, landing that hit on someone’s face, or simply eating that last slice of pizza, or sitting down for a long session of talking and video games you should enjoy what you look like. Live on the outside.” That’s fannish. To that end they have a growing line of nerdy-themed t-shirts, several of which feature anthropomorphic designs. Visit their shop on-line to see what they have so far. And of course they’ll be adding more.